Splash Dash Race - The wettest race in America! 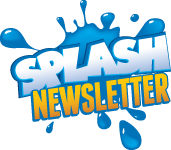 Click here to stay soaked with Splash Dash news! ...YOU can leverage the Splash Dash's massive success to easily create a LIFE CHANGING, ACTION PACKED, and REWARDING BUSINESS OPPORTUNITY for you! ...then the Splash Dash opportunity is for you! Take the next step towards running your own Splash Dash! If you're interested, just enter your info below so we can give you a call. Don't Miss Out! Someone in your area will beat you to the punch! Turn your excitement for fitness and your enthusiasm for running into your work. Even though you don’t have to be a runner, you do have to be passionate about creating an exciting fitness event for hundreds (or thousands!) of eager participants. Whether you're a runner, a charitable organization, a fitness professional or someone who loves planning amazing events, we encourage you to consider the one-of-a-kind Splash Dash 5K opportunity. "The Splash Dash 5k is a brilliant business model for entrepreneurs, fitness business owners and non-profit groups. It's a complete turn-key system that is fun and rewarding for participants, and offers a huge financial upside for licensees. If you want to raise awareness for your business or organization, and increase revenue, the Splash Dash 5k is the logical choice."